Carnivore and controversial YouTuber, Sv3rige, has been filmed eating a raw squirrel at Soho's vegan market, sparking outrage with meat-eaters as well as vegans once again. According to the Metro, one passerby shouted 'What the f**k is going on?' whilst another said: "Why are you doing this? I eat meat, but I don't do this." The YouTuber responded with: "We just want to raise awareness because veganism is malnutrition." 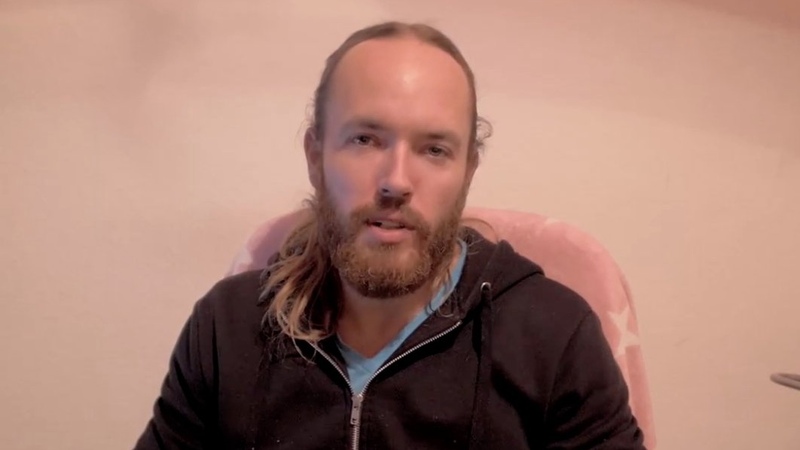 Another man involved in the 'demonstration', who claims to be an ex-vegan, said: "We evolved for millions of years on animal products so it's a fallacy that we can suddenly eat just plants," whilst he held up a sign reading 'Eat Animal Fats. Don't Die'. Posting on the Facebook group London Vegans, Adam Protz said: "Massive shout out to the staff of Unity Diner, who handled that lunatic Sv3rige and his anti-vegan gang turning up brilliantly yesterday. "AKA, they locked the doors, and we all ignored the f**k out of them, making their 'protest' limp and pathetic." The stunt follows a series of similar anti-vegan protests, in what is being dubbed as an 'anti-vegan tour' across the UK. Last week at VegFest in Brighton, Sv3rige ate from a raw pig's head, before police warned them and 'sent them packing'. Manager of Vegfest UK, Tim Barford, said: "What was interesting was that we had meat-eating members of the public saying that this revolting spectacle had encouraged them to give up eating meat – so it seems the anti-vegan protest actually encouraged people to go vegan." However ineffective Sv3rige's stunts may be, there is growing concern that his raw-meat eating habits may soon put strain onto the UK's National Health Service (NHS). An anonymous source told PBN: "Doctors say some squirrels could carry Creutzfeldt-Jakob disease, better known as mad-cow disease, which zombie-fies you by causing holes in our brain. "Leptospirosis is another disease that is carried by squirrels and other forms of wildlife. Ticks often use squirrels as hosts, which means they can carry Lyme disease and spread it to humans. "I don't know any plant that causes this type of infection... When he and his girlfriend are sick are they going to skip the NHS?" The NHS states Leptospirosis, also called Weil's disease, can be caught simply by touching an infected animal's blood or flesh and therefore urges people to 'not touch dead animals with [their] bare hands'. The Founders of Soho Vegan Market founders told Plant Based News that they do not condone the actions of Sv3rige and were unaware of his plans to protest at the event. "Soho Vegan Market was created so that people, both vegan and otherwise, could try delicious and different plant based food in a brilliant and easily accessible location in the heart of London," they told PBN. "We've been open for almost a year now and have seen thousands of people visit over this time with no conflict between vegans and meat eaters at all, which of course is what we are aiming for. We were unaware of the planned protest on Saturday, do not condone the actions of known anti vegan YouTuber Sv3rige and are disappointed that it disrupted what is normally a vibrant and diverse weekly event. "We would like to thank the police and others who reacted quickly to prevent any further disruption or upset to our patrons and look forward to getting back to the normal Soho Vegan Market vibe next weekend." This article was updated on April 1 to include the comment from Soho Vegan Market.